No matter if you are relocating within your city or to a different state, relocation has its own complexities. But, if you plan it well and schedule everything properly, your relocation experience could get better and smooth. Here are few tips that will help you shift domestically, that to without creating any burden on your budget. Start by creating a list of all the items you want to pack and move. Everything depends on the inventory of the items. Unless you know the inventory that is to be packed and moved, its going to be hard for you to get an estimate. So, create a list of your household goods, which includes large items first, followed by small items. This list will help you when you’ll be taking the estimates from movers and packers company. Most of the time, moving companies negotiate on their labour charges, warehousing facilities and many other services like unpacking or re-arranging. So, negotiate with them well to get better rates. Once you have hired a mover, your relocation is going to be very easy. Beneath are a few more tips that you may like to use. Make sure to get update your new address in certain places such as the bank, LPG provider, electricity provider, telephone provider and etc. Pack all your important documents in a separate bag and carry it with yourself. Make sure that you pack even the tiniest of documents very carefully. Pack all the important things carefully. Important things include driving license, passports, cash, jewelleries and other precious things. Pack them and keep them near, or with you. Stop subscription that you avail currently because, you will be going to a different place so you wouldn’t require them any more. Ones your home is empty and every good is packed and loaded in the truck, go and check the rooms once again. See if there’s anything left or not. Before you relocate, always pre-plan the entire process well, and then relocate smoothly. If you know any other tips and tricks to relocate without any hassle, then share with us in the comment box below. The process of relocation is quite a hectic one, and requires loads of labor both physical and mental one. Physical because you need to carry and move the goods, and mental since you have to think a lot about the procedures to pack and move all goods. 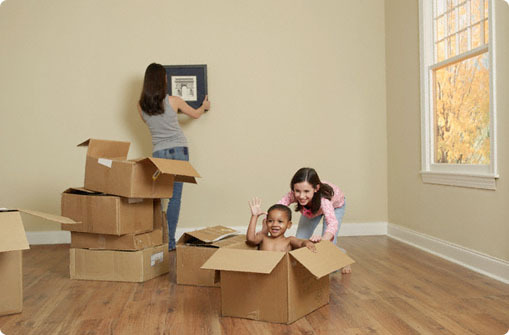 You can surely avoid all the mental and physical stress by hiring a Packers and Mover company. But, if you want to save money and do it yourself, then you can do so by properly planning and plotting. Finding well placed movers and packers in India to shift your home or vehicle is a little complicated due to lack of regulatory norms. If you are planning to relocate to a brand new home, and you want to hire a trustworthy and professional packing and moving service providers, then you must follow some easy norms. While hiring a Packers and Movers in India, its best to do some thorough investigation and follow certain methods, in order to receive best deals from the professionals who’ll help you out in packing and moving.